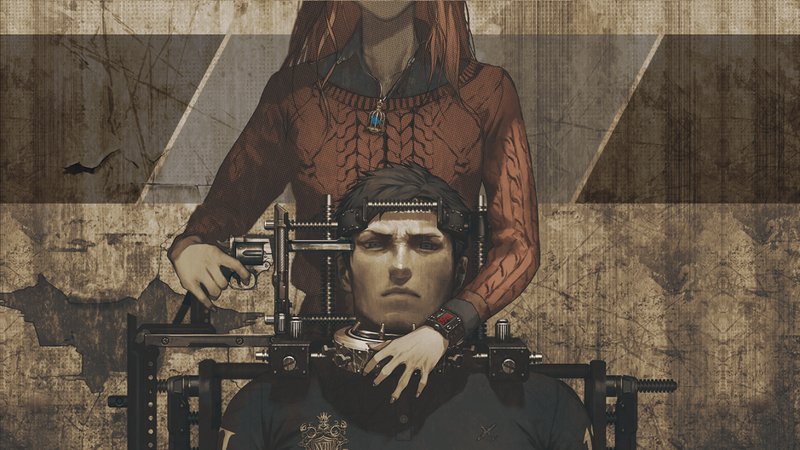 On Tuesday, publisher Aksys Games will release Zero Time Dilemma, the third and perhaps final entry in the Zero Escape series. You probably fall into one of two camps: Either you’re breathlessly counting down the days until then, or you’ve never played Zero Escape. If you’re in the former group, know this: I beat Zero Time Dilemma last night after several marathon sessions. I’ll have a full review up on Kotaku at some point before Tuesday. Short version: it’s excellent. For now, though, I want to talk to those of you who have never played a Zero Escape game before. Really, what are you thinking? If you like stories, or emotional resonance, or video games that explore the form of interactive entertainment to craft intricate, complicated narratives that can only be told through video games, you need to play these things. The Zero Escape series comprises three games: 999 (DS, iOS, maybe soon Steam); Virtue’s Last Reward (3DS, Vita, maybe soon Steam); and the upcoming Zero Time Dilemma (3DS, Vita, soon Steam). All three are text-heavy puzzle games that combine science fiction, horror, and escape-the-room scenarios. They’ve got a heavy dash of Saw and a whole lot of gruesome deaths, all of which are affected by the choices you make both big and small. Each game has a bunch of different endings ranging from mawkish to terrifying, and they’re all connected, so you’ll see most of them before you’re finished. What’s special about these games is how they slowly construct intricate narratives and then use those intricacies to subvert your expectations in the best possible way. What’s also special is that they feature genuinely interesting characters who evolve and change over the course of the series. What’s even more special is that, thanks to some great writing, the Zero Escape games strike a wonderful balance between darkness and comedy, seamlessly transitioning from intense debates over quantum physics to awkward jokes about breasts. I strongly recommend that you play these games. They’re gripping, horrifying, fascinating experiences that have kept me up for more than a few nights over the past half-decade. A quick caveat: Despite what series director (and overall genius) Kotaro Uchikoshi has said about Zero Time Dilemma being designed for newcomers, you will not appreciate the newest Zero Escape nearly as much unless you’ve played the first two games. Start with 999—play it blind your first time through, then use this flowchart to get the true ending—and then dig into Virtue’s Last Reward, which is way better. Then play Zero Time Dilemma. Okay? Okay.